​In 1993, the Scole Experimental Group embarked on a five-year experiment using a revolutionary kind of ‘energy' to produce tangible objects from the spirit world. The term ‘tangible objects’ means things recognisable to our senses or our instruments – visible manifestations, lights, sounds, touches, tastes and smells. 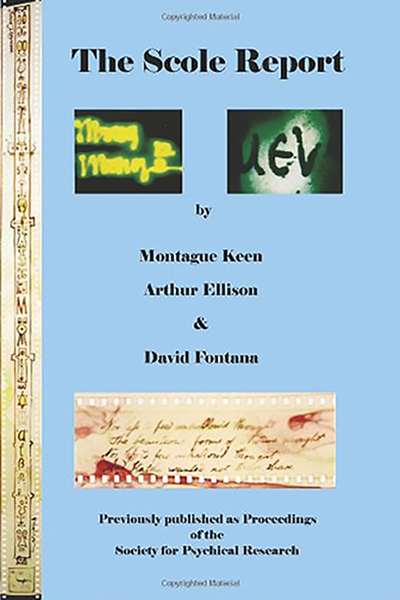 Some of the tangible objects took the form of messages transmitted onto photographic film, audio-tape and videotape. The aim of the Scole Experimental Group was to produce not just one tangible object but such a huge number and variety that scientists would have to sit up and take notice. In fact, it was not long before a variety of senior scientists, including some very experienced researchers into the unknown, became interested in the phenomena being produced. The Scole Group was happy to allow scientific scrutiny of their work, a fact which impressed the scrutineers. The Group traveled widely taking their experimental sessions to many places and people worldwide. Their work was conducted in a number of international locations, including Germany, Ireland, the Netherlands, Spain (Ibiza), Switzerland, and the USA. Here, investigators assessed and reviewed the work, including Dr Ulf Israelsson, Dr Hans-Peter Stüder, Dr Theo Locher, Dr Andreas Liptay-Wagner, and Dr Pal Kurthy. Among the investigating team were electrical engineers, astrophysicists, criminologists, psychologists and mathematicians. They were most interested in the photographic films because the time and method of production of these films could be controlled. The scrutineers asked to attend experimental sessions in order to control certain parameters. Still the images appeared on the films. Some of the scientists found this hard to explain and suggested that extra precautions be taken, including bringing their own films and putting them in a padlocked box for the duration of the session. Yet again the images appeared on the films. But now they were slightly different. Instead of being simply photos of faces and places, they were cryptic messages, clues to puzzles that the investigators were invited to solve. Later, even more amazing images were received on videotape and messages were transmitted onto audio-tape. Objects materialised, lights danced, and solid beings appeared before previously sceptical observers. 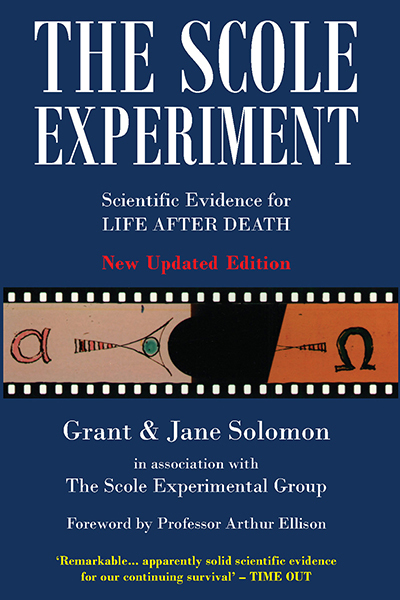 The unique and revolutionary evidence provided by The Scole Experiment may suggest that solid scientific proof of survival may not be far off. If so, there are unavoidable and far-reaching implications for us all. Soon after The Scole Experiment began, a team of spirit communicators made themselves known to the Group during the experimental sessions. 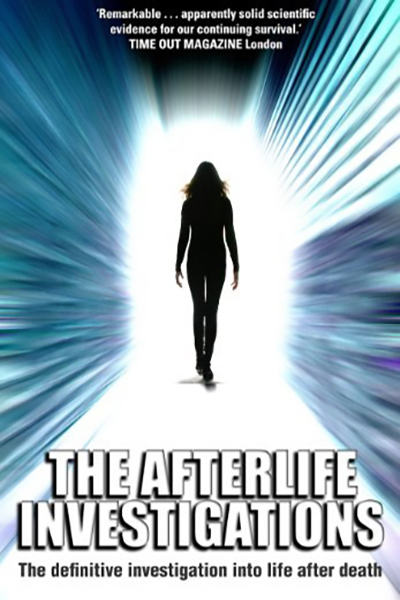 By pioneering brand new forms of tangible paranormal phenomena the Spirit Team aimed to prove conclusively, once and for all, that death does not exist and that there are other dimensions of existence. These other dimensions are hidden from normal perception by the limitations of our senses and our current scientific instruments. The Group was told that their spirit team alone consisted of ‘thousands of minds’, all working in unison towards achieving this tangible proof of the existence of other dimensions. The Spirit Team knew that convincing proof had to include tangible evidence, which could be tested and taken away from the site of experiments for further scrutiny. The Spirit Team was apparently able to create ‘events’ in our dimension by influencing atoms and molecules ‘here’ using the power of their thoughts. All the work revolved around what they referred to as ‘creative energy’. ​The Scole Experimental Group comprised two couples, Alan and Diana Bennett and Robin and Sandra Foy. The Group operated completely independently of the Spiritualist movement or any other organisation. They were non-religious and non-sectarian. Their work was intended to be universal and embraced people from all walks of life, whatever their beliefs. They were involved in serious scientific research into the paranormal, using an entirely new and unique approach. Alan and Diana, the mediums during the Scole experiments, are married with four, grown-up children. They live on a smallholding in rural Norfolk, UK. They are practical, intelligent and discerning individuals. They live a simple life-style. Alan is a retired carpenter. Diana is an intuitive and healer. Both have been psychic since childhood. Alan and Diana have always been committed to the evidence of the phenomena produced during The Scole Experiment and the reality of the messages sent by the Spirit Team personalities. Although Alan and Diana were ostensibly 'unconscious' or in 'trance' during many of the experimental sessions, they, along with the Foys, undertook any necessary preparation for the experimental sessions, e.g. acquiring materials requested by the Spirit Team. They also had tasks to perform after the sessions. Diana was responsible for transcribing the numerous audio tapes which were recorded during sessions. Alan was responsible for the production of the Group's newsletter, The Spiritual Scientist, as he had some experience of graphic design. All the members of the Group contributed articles for The Spiritual Scientist. Robin and Sandra are married with grown-up children. At the time of the Scole sessions they lived in the village of Scole in Norfolk, in Street Farmhouse, which was the venue for the experiments. They too are practical, intelligent and discerning individuals. Robin has researched psychic phenomena for over 40 years. 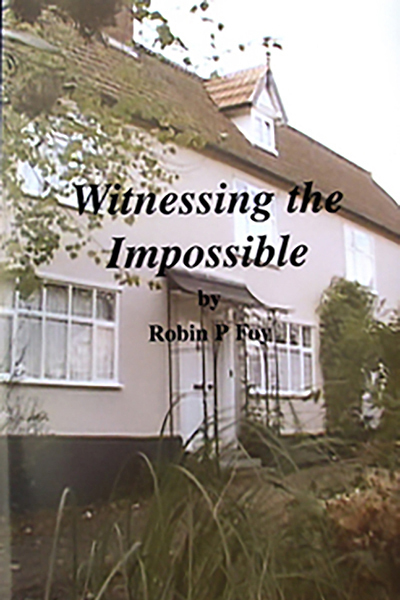 Robin is a former RAF pilot, whose interest in physical paranormal phenomena led him to found the Noah's Ark Society (NAS). The couple share the same aims of proving that that we do survive death. Along with the Bennetts, the Foys undertook any necessary preparation for the experimental sessions e.g. acquiring materials requested by the Spirit Team (such as the glass dome). The Foys acted as hosts for the many visitors who came to experimental sessions. These included not only the investigators from the Society for Psychical Research (SPR) but also other interested parties. They too had duties after the sessions which included the writing of extensive notes which Robin made after each session recording the events and phenomena which had taken place.